Yearlong project cataloged pre-1800 books partly by physical attributes. 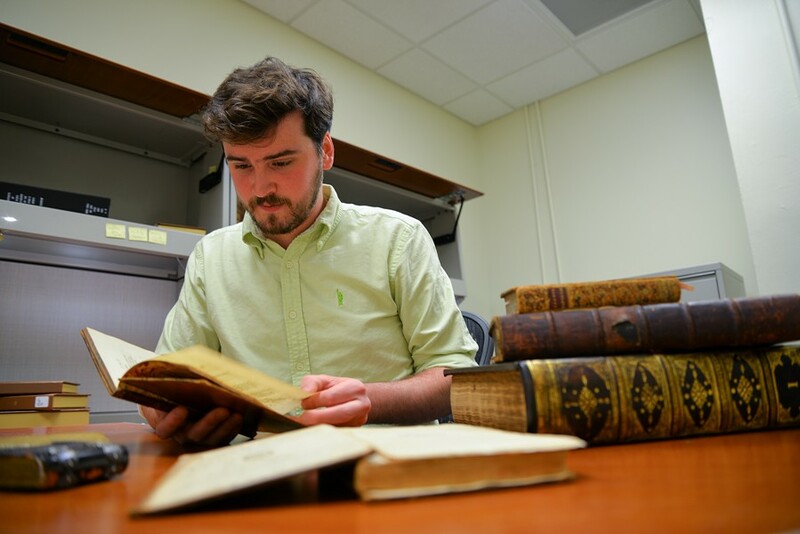 Julian Neuhauser, a VCU English graduate student, made it his mission over the last year to catalog VCU Libraries' collection of pre-1800 printed books. 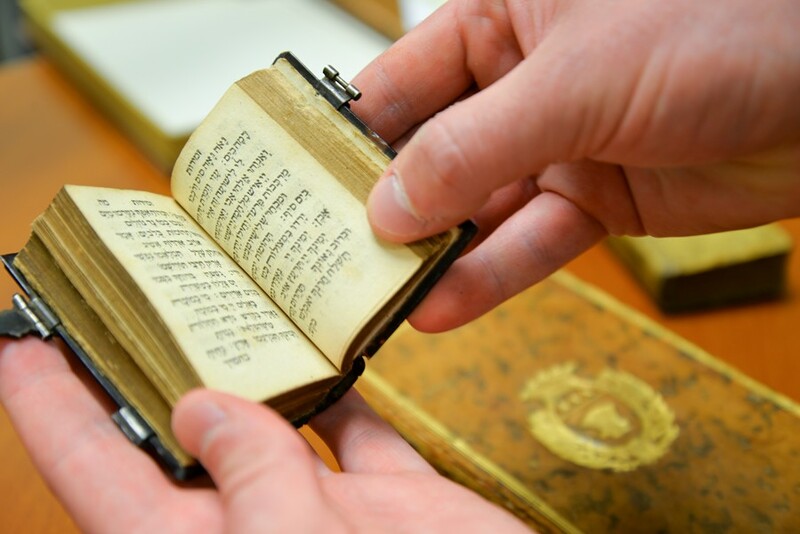 A graduate student in English at Virginia Commonwealth University has greatly increased the value of the university library’s Special Collections and Archives, featuring books published before 1800. Julian Neuhauser spent the last year cataloging the rare books using what's known as descriptive bibliography -- adding search terms such as “gold tooled bindings,” “marbled edges” and “presentation inscriptions” -- which increases the research value for historians who study the physical properties of books to provide insight “into the printing processes and bookselling industry” of the period, according to a story by Brian McNeill of VCU News. Examples of the books he cataloged include a goatskin-bound copy of “A Dictionary of the English Language,” the original dictionary by Samuel Johnson and a 1723 edition of “Daimonologia, or, A Treatise of Spirits,” an occult text from the personal library of Richmond fantasy author James Branch Cabell, namesake of the James Branch Cabell Library. Neuhauser tells Style that he wanted to frame his studies in terms of the materiality of books and texts. He says the most exciting thing about the process was simply the realization of what he was examining. “Some of the books are enigmas or damaged in such a way that they appear to be something they are not. Such cases require a lot of research, but it is worth it to pinpoint exactly what book I am holding,” he says. “It’s also really exciting to figure out some of the provenance information. I have found Samuel Johnson’s signature, inscribing a book to a friend of his." Johnson (1709-1784) was a prolific writer and author of what is generally thought to be the first dictionary. Other wordbooks preceded his, but his has become the most famous, Neuhauser notes. Because of the grad student's diligence, VCU’s oldest books are now searchable by material terms and the English Short Title Catalog has been updated.